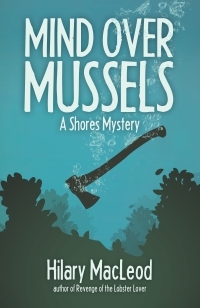 Amateur sleuth Hy McAllister trips over a body on the beach and tumbles head first into a murder case. Cottager Lance Lord, dressed like Jimi Hendrix, has had his head split open with an axe. As Hurricane Angus storms up the coast, Hy and Mountie Jane Jamieson battle the elements to uncover the murderer in a village full of secrets. Amateur Sleuth, Comic Crime, Cozy with edge, village mystery.